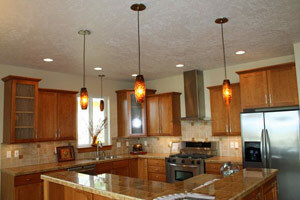 Kitchen Remodeling projects are much easier when you have a professional team to assist you. 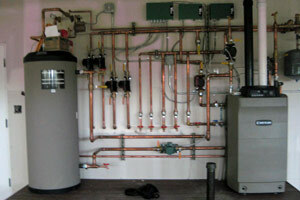 We offer full service plumbing repair service and installation for Wasilla, Palmer, and greater Mat-Su Area. A custom bathroom can become a mini spa in your home. Choose from the latest in fixtures and features. Quality Work On Budget and On Time! 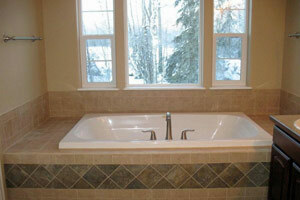 Since 2003, Apex Plumbing & Heating has served the Palmer and Wasilla Communities with pride. As longtime Alaskans, we are dedicated to providing our clients with the very best in service, installation, and repair to meet your plumbing needs. We specialize in a variety of residential and commercial services from repair of the leak in your faucet to installation of water heaters and new construction plumbing and boiler systems. We take pride in the attention to detail put into each of the projects we’re involved with and we’re known for our quality work and the integrity of our business. We look forward to building long-term relationships with our clients, and guarantee your satisfaction. Please do not hesitate to contact us with ANY of your plumbing and heating needs! We would be honored to earn your business. We were voted Best in The Valley for 2015 by the Frontiersman and we also received a Super Service Award by Angie’s List. Thanks to our loyal customers. We can help you answer them. We realize that plumbing & heating is a major investment in your home so we offer free consultation to address any questions you may have about plumbing or heating systems, designs, or repairs. We will work with you to insure an outstanding finished product tailor-made just for you to meet your specific plumbing or heating needs. Please give us a call or email us today! In today’s market, there are a wide variety of options for your custom bathroom, kitchen, outdoor fixtures, or whatever your project or home improvement dream may entail! We can cater to whatever idea you could possibly come up with, but for those who would like to know their options first, check out our options page for a detailed look into creative and beautiful ways you and your family could upgrade your home.